The videos that have streamed out of the Gaza Strip over the last two weeks are disturbing, digital testaments to extreme force and terror. In one widely circulated video taken on March 30, on the first day of what has been dubbed the “Great Return March,” 19-year-old Abdul Fattah al-Nabi can be seen running with a tire, his back turned to the Israeli snipers who have perched on hills overlooking Gaza. Then a shot rings out and al-Nabi falls to the ground, becoming one of 17 people killed that day by Israeli snipers who gunned down Palestinians as they protested Israel’s blockade of the enclave and demanded their rights as refugees. In another clip, taken on April 6, Palestinian journalist Yasser Murtaja is seen using a video camera to film Palestinian demonstrators as smoke from burning tires envelops the area he is in. In the next scene, Murtaja, who was wearing a vest marked with the words “PRESS,” is being carried by colleagues while he bleeds from an Israeli gunshot wound. He later died. As the first of these images began to circulate, the Israeli human-rights group B’Tselem launched a media campaign with a simple message aimed at those tasked with responding to Gaza’s ongoing protest encampment. The organization took out ads in Israeli newspapers with the words “Sorry commander, I cannot shoot”—an attempt to encourage snipers to “refuse to open fire on unarmed demonstrators,” as the group put it in a statement. Thus far, however, B’Tselem’s campaign hasn’t worked. Israeli snipers have continued to shoot down unarmed Palestinians protesting near the fence that cages in Gaza, a practice human-rights groups say is a crime under international law. And as the Great Return protest heads into the third of its planned six weeks, rights advocates fear more deaths and more bloodshed at the hands of the Israeli military. Already, some 1300 Palestinians have been shot and wounded, and more than 30 killed. But there’s another strategy for stemming the bloodshed, one that does not rely on the conscience of soldiers—and it starts in the United States. Palestinian-rights groups here have begun urging Congress to demand an investigation into alleged Israeli violations of US laws governing arms exports, and they are calling on the State Department to enforce those laws and cut off the flow of US weapons to Israel. These efforts parallel calls by the Palestinian Boycott National Committee to implement a global arms embargo against Israel, and a call by British opposition leader Jeremy Corbyn for a review of UK arms sales to Israel, but they keep a tight focus on Israel’s most munificent ally. The United States gives Israel over $3 billion in annual military aid and, under the terms of US-Israeli agreements, 75 percent of that aid must be spent on US-made weapons. At the same time, laws governing the sale of US-made weapons to foreign countries require that these countries do not misuse this weaponry on civilians. Human-rights groups say strict enforcement of these laws would send a statement that the US-Israel alliance is predicated on respect of Palestinian human rights. They also believe that strict enforcement of these laws could deter future Israeli human-rights violations. Amnesty and the US Campaign have focused their calls around two laws in particular: the Foreign Assistance Act, which prohibits US assistance to countries that consistently violate human rights, and the Leahy Law, a provision of the Foreign Assistance Act that prohibits the United States from sending arms to individual units of foreign security forces that commit gross human-rights violations. The Leahy Law is narrower, but could ultimately prove more effective, some advocates have suggested, since it may be easier to cut off aid to singular units that misuse US weaponry than to a whole army. It also helps that Leahy himself has said, in a statement issued by his office to another publication, that he wants to know whether his law applies to the Israeli military units who killed protesters in Gaza. 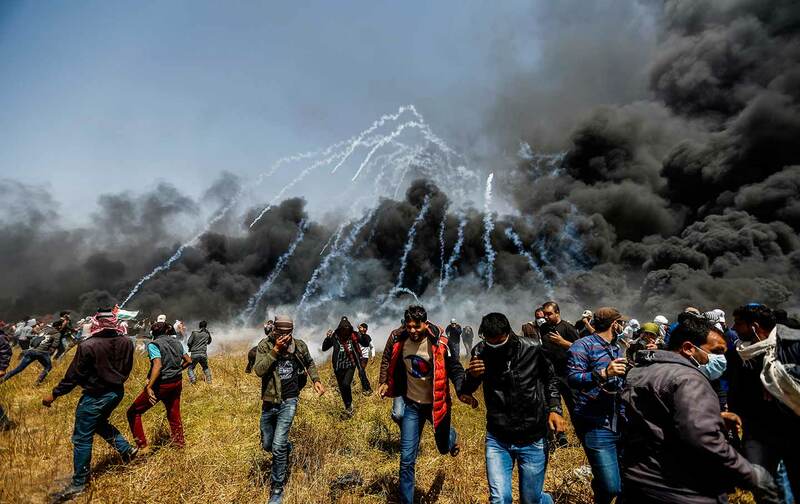 While it is difficult without investigation to determine what role, if any, US aid and weapons played in the recent killings at the Gaza border, experts who monitor US assistance to Israel told me, for a story published previously in The Intercept, that US aid “of one type or another” is assumed to benefit virtually all Israeli military units. At a minimum, images released by the Israel Defense Forces show some of the rifles that soldiers on the Gaza border are equipped with, and at least two seem to have a US provenance. 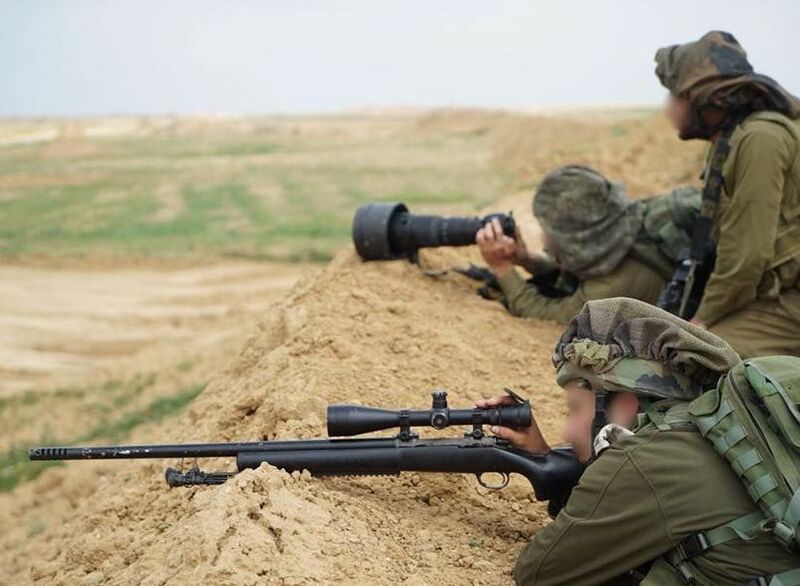 According to Sarit Michaeli, who tracks Israeli weapons as the international advocacy officer for B’Tselem, one photo shows an Israeli soldier surveying Gaza while holding a Remington M24 sniper rifle, a gun made in the United States by the New York–based company Remington Arms. In another photo, a soldier holds what looks like an SR-25 semiautomatic sniper, a gun made by the Florida-based Knight’s Armament Company. In theory, a finding by the State Department that the Israeli army extrajudicially killed Palestinians in violation of international law—as human-rights group allege—could lead the United States to cut off the flow of arms to Israel. The problem is that theory and practice rarely, if ever, meet when it comes to the application of laws governing the sale of US-made weapons. There is too much pressure from the defense industry and other interest groups, and too little political will, to enforce these laws—on Israel or on any other allied country the United States supplies with weaponry, like Saudi Arabia and Egypt, both of whom also use US weapons to fire indiscriminately on civilians. 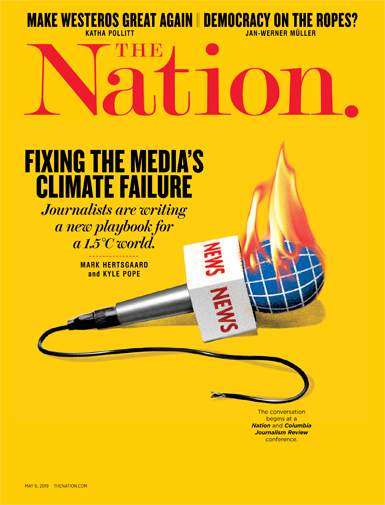 There have been occasional exceptions, moments when legislators and even presidents have made moves, however small, to stanch the flow of arms to flagrant perpetrators. President Barack Obama, for instance, temporarily halted the flow of Hellfire missiles to Israel during the country’s deadly assault on Gaza in 2014. (No other US-made weapons were stopped, however.) The Obama administration also criticized Israel over the Israeli army’s killing of civilians during that assault. But such interventions are rare, and, in the case of Israel, have grown even less likely under President Donald Trump, who has fully aligned US policy with the wishes of Israel’s far-right government and promised not to publicly air disagreements with Israel. Indeed, the Trump administration has said nothing about Israel’s use of deadly force against unarmed civilians. Instead, Jason Greenblatt, the White House envoy in charge of Israel/Palestine, criticized the Palestinian protesters.